After suffering a broken fibula and badly dislocated ankle, Luke Berry’s “Horror Injury” made national headlines. 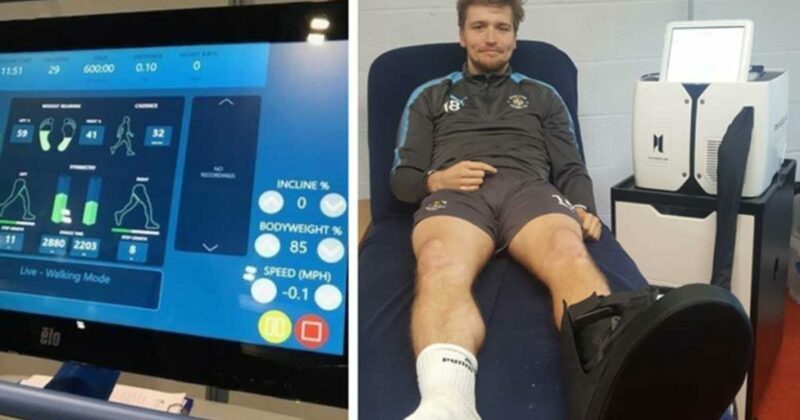 However, four months on he is now back in full training with Luton Town with the help of the AlterG. Luke himself stated “At first, I was on 20% gravity and doing light walking. It felt foreign, because I hadn’t used my left foot since the injury. The air pressure lifts you up, so you’re on your toes. Then we put the incline on, so it balanced me out. I built it up to 30%, 40% gravity and jogging. Now I’m on 100% full running. Check out the Training Ground Guru’s fantastic full article! Next ArticleOur Online Shop Is Now Open! SportsMed Products is dedicated to getting people moving. We are constantly researching what is new in the market and always looking to uncover new technologies that will help people to recover from injuries or to perform better. © 2018 SportsMed Products Ltd - All Rights Reserved.